Enter to Win $500 Towards Your Next Move! For more than 20 years, Quality Move Management has successfully moved people to all corners of the globe. QMM is Allied Van Lines' largest agent in Canada, the largest cross-border agent in North America and an award-winning member of the largest international moving network. 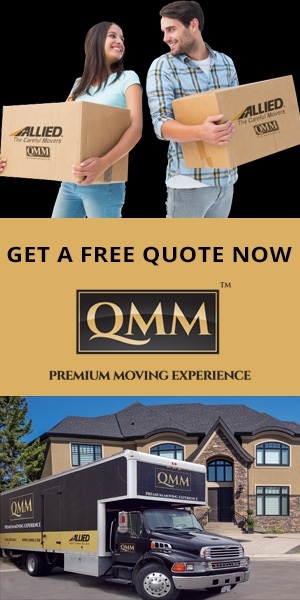 QMM is one of the top Canadian moving and storage companies in Canada, specializing in high quality customer service. With locations in Calgary, Edmonton, Vancouver and Toronto, QMM offers local, long distance and international moving, including packing, crating and secure storage services.